The many inspiring stories of how Transform Lives one school at a time is bringing positive change to rural schoolchildren were showcased at the event held in Des Moines on October 27, 2018. Along with a film screening, cultural and fun activities, and exchanges featuring young activists, the Sehgal Foundation team felicitated three special people—Rob Denson, president DMACC, for his work in the areas of skill building and digital literacy; Jay Byers, CEO of the Greater Des Moines Partnership, for his work in good governance; and Paul Bishop, CEO of Association of Boards of Certification, for his work in safe drinking water and public health/sanitation. Watch the newly released video on the project! In a conversation with Dr. R S Deshpande, an accomplished researcher and well-known figure in the fields of agriculture policy, water management, and land policy and a former director of the Institute for Social and Economic Change (ISEC), Bangalore. 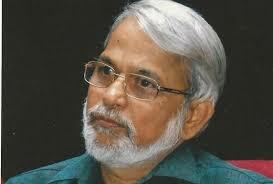 Dr. Deshpande holds affiliations with numerous institutes in India and has authored more than seventeen books and 129 research publications. Read more . . .
Water, as one of the most vital natural resources of planet Earth, is quite justifiably referred to as “life.” Water is extremely crucial for human survival as well as for the sustenance of ecology and climate. Read more . . .
Farm mechanization implies usage of machinery in agriculture and is used for tillage operations, harvesting, and thrashing. 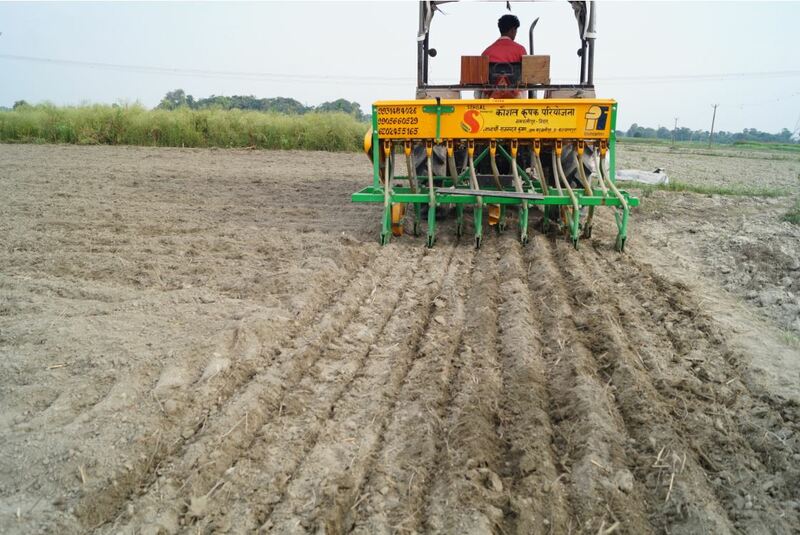 Farm mechanization can increase productivity of land by facilitating timeliness and quality of cultivation, which helps in achieving food security. The role of the Community WASH Promoter is important for the successful implementation of any water, sanitation, or hygiene (WASH) initiative. 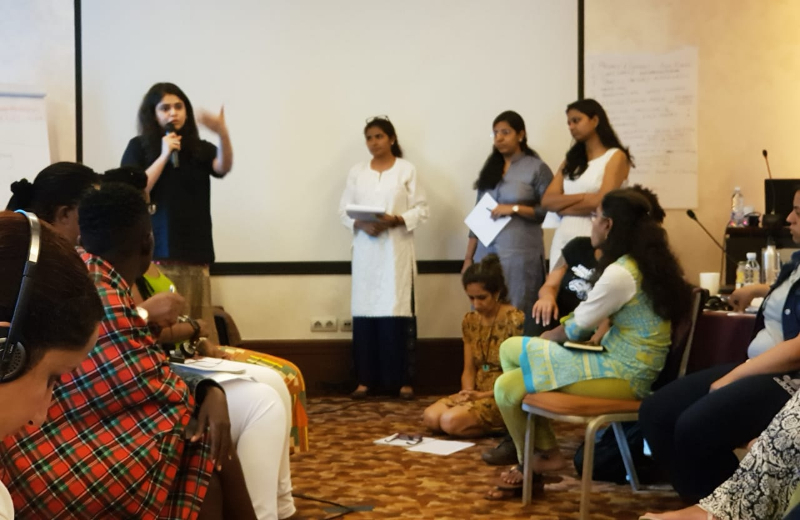 Through this workshop co-delivered by CAWST and Sehgal Foundation, participants will gain a clear understanding of the best practices for supporting community members in changing their WASH behaviors. Read more . . .
3ie and Sehgal Foundation are organizing an event on December 4, 2018 giving a platform for policymakers, including government representatives, researchers and students to discuss transparency, open data, ethical values and issues related to development research. Read more . . . The Eighth Annual Conference on Good Rural Governance and Citizen Participation will be organised by Sehgal Foundation on December 7, 2018. This year’s theme is “Village-Level Water Management: Community Participation and Convergence of Village Institutions.” Read more . 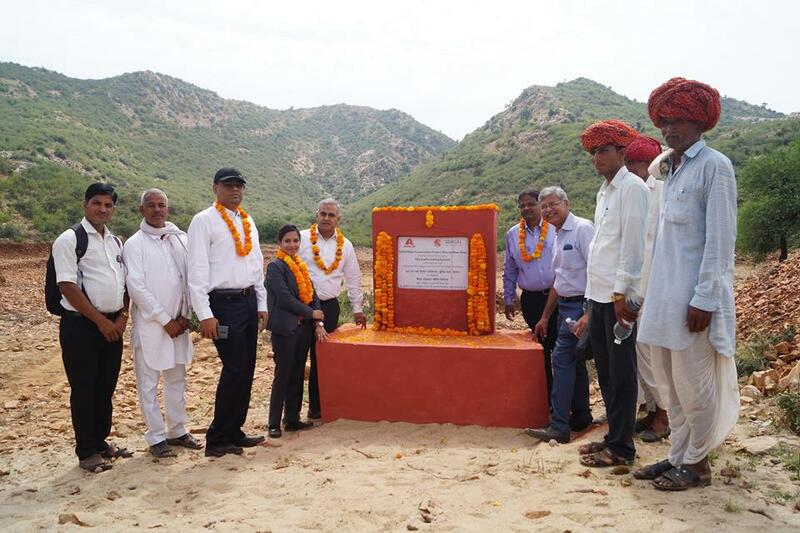 . .
A pond developed in village Bhooriya Baas in Thanagazi block of Alwar, Rajasthan, constructed under a partnership project between Axalta Coating Systems and Sehgal Foundation was handed over to the community in an event held on October 16, 2018. The three-year partnership for Enriching Ecosystem through Soil and Water Conservation aimed at soil and water conservation through construction of water retaining structures. First of these was a pond with an annual rainwater harvesting capacity of ten million liters and storage capacity three million liters. The stored rainwater and groundwater recharging will support local farming, animal husbandry, and eco-services. Other interventions include water management training and plantation of indigenous trees. Read more . . .
Sehgal Foundation staff presented and participated at several national and international conferences aligned with our work on water security, food security, and social justice. Key among these were the projects team participation at the World Food Prize Conference in USA; the Development Research and Policy Initiatives team's presentation and participation at AFITA/WCCA Research Frontiers in Precision Agriculture conference at IIT-Mumbai and at the international Knowledge, Learning, And Societal Change Research Alliance (KLASICA) held at Taipei; and communications team presentation and participation at the All Women Count meeting in Beirut, Lebanon and at a community radio meeting in Pastapur, Telangana. In addition, staff contributed to the Water Education Forum Meeting, Anand. 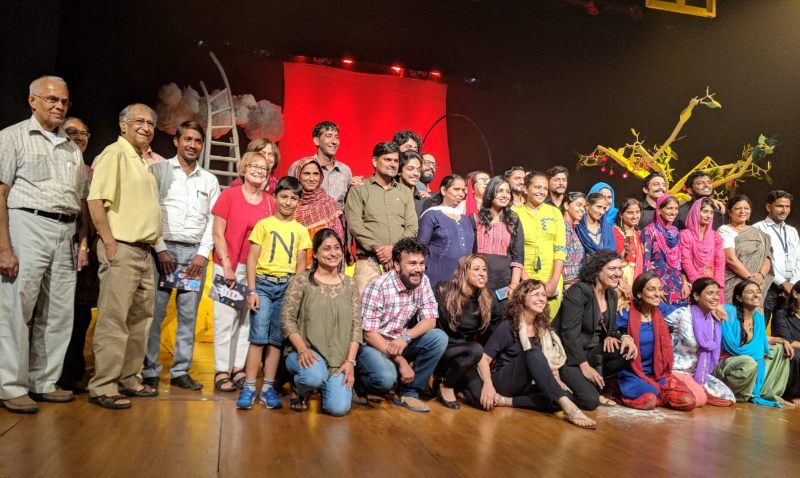 Hello Farmiesh, a theatrical production directed by Yuki Ellias and supported by Aadyam Theatre, came to Delhi in September. The play shows how three locals use community radio to follow Kalpana Chawla’s odyssey to space. Their daily broadcast sets off a flight of imagination and misadventures. Yuki and her team visited the radio stations in Nuh to understand community radio and hear about the innumerable rich experiences of local reporters weaving all of it in a heartwarming story. 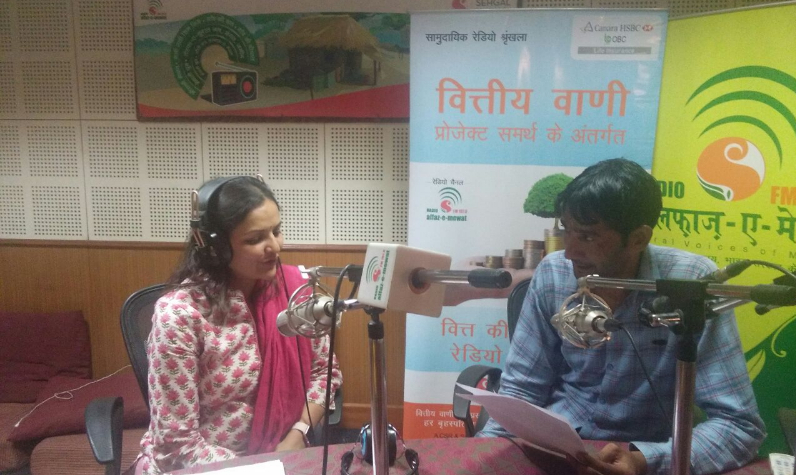 Partnering with Canara HSBC Oriental Bank of Commerce Life Insurance Company Limited, community radio Alfaz-e-Mewat launched a new radio series on financial literacy titled Vitya Vani under Project Samarth. 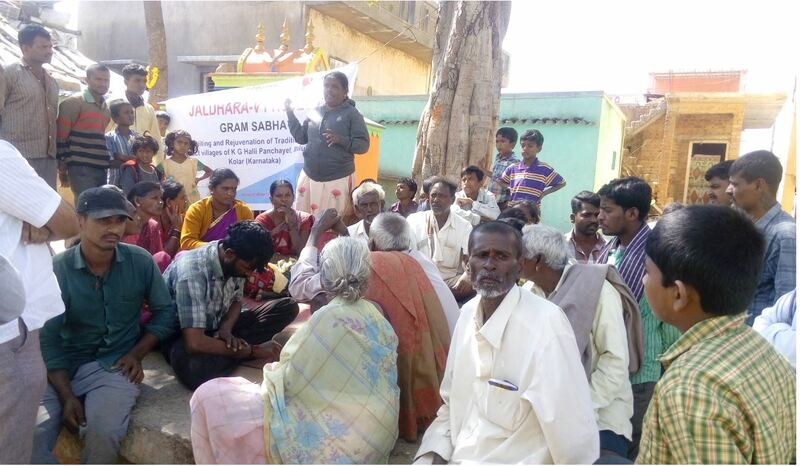 The series bridges the financial literacy gap in rural communities, enabling them to improve their financial planning and access financial services through various institutions and mechanisms. The programs will also be broadcast on community radio Alwar Ki Awaaz and Salaam Namaste. Assessment of heavy metals in soils is important in context of human health as these may either pollute the agricultural crops or may move deeper into the groundwater. Read more . . .